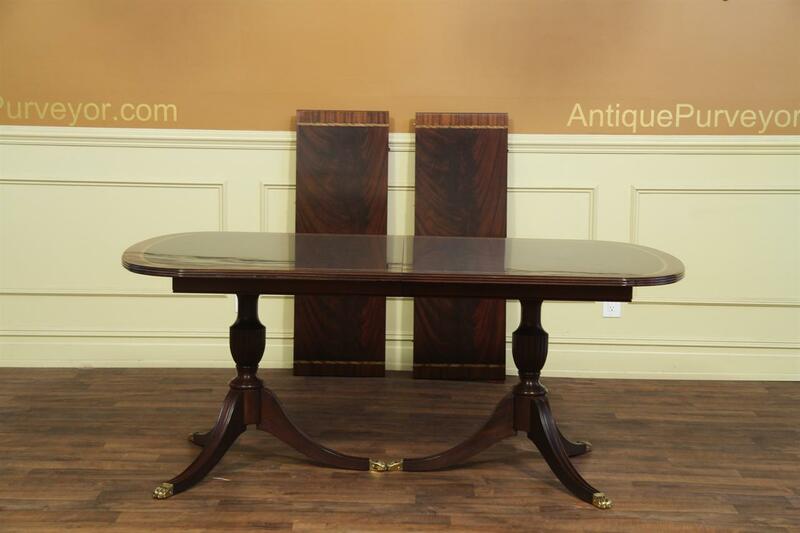 Description: New American made antique style double pedestal dining table with swirly crotch mahogany field and satinwood banded inlays. 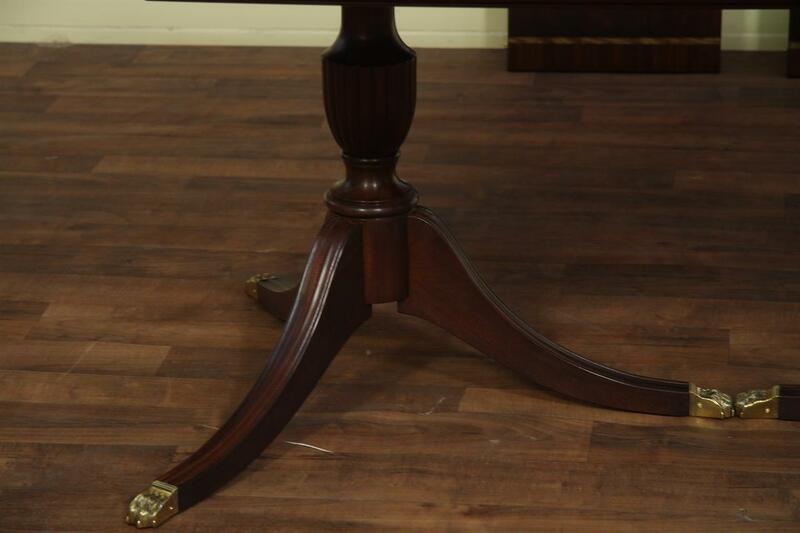 Solid American made fluted pedestals. 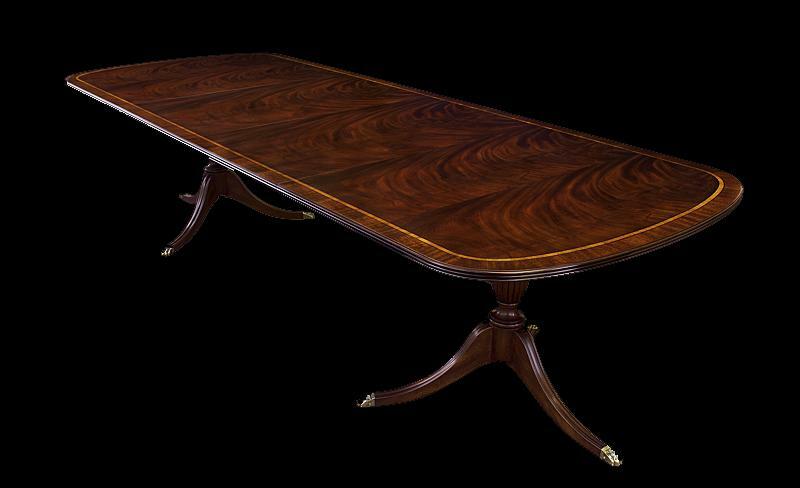 This table is a 2 leaf table. 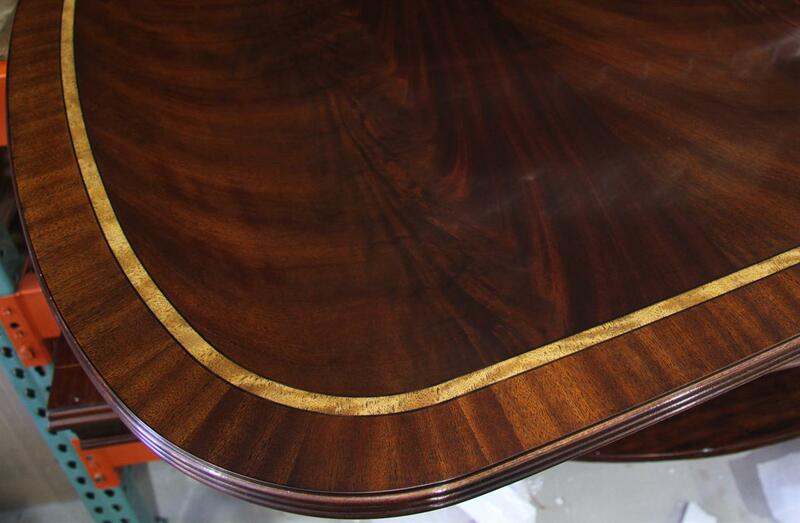 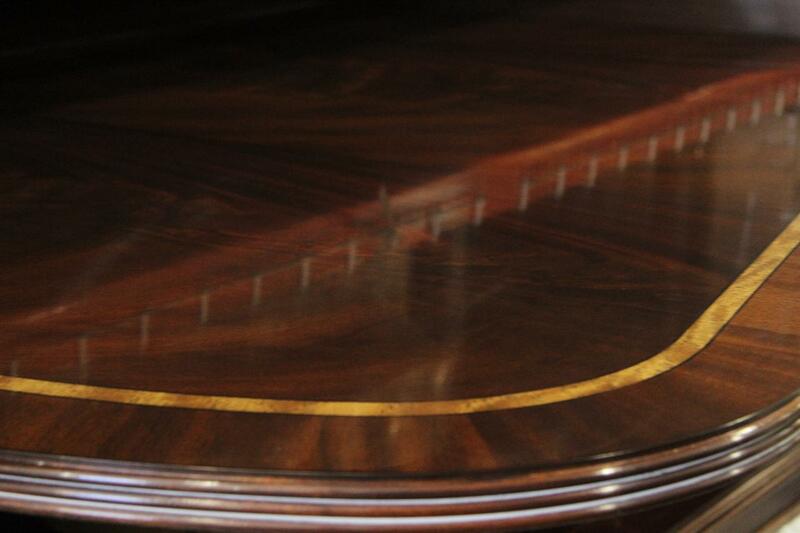 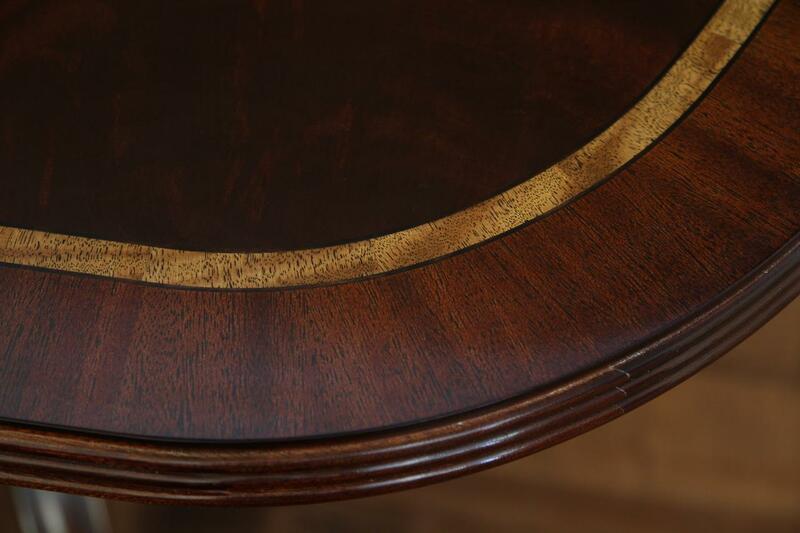 Reeded edge and razor thin traditional lacquer finish. 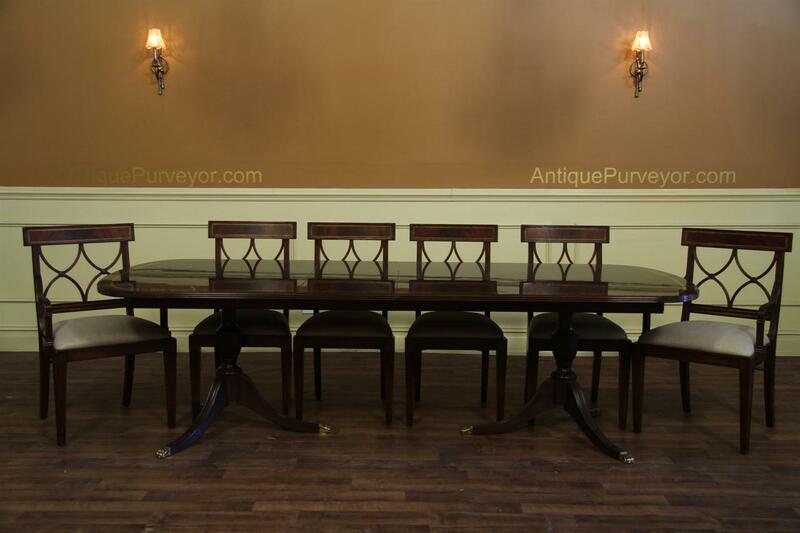 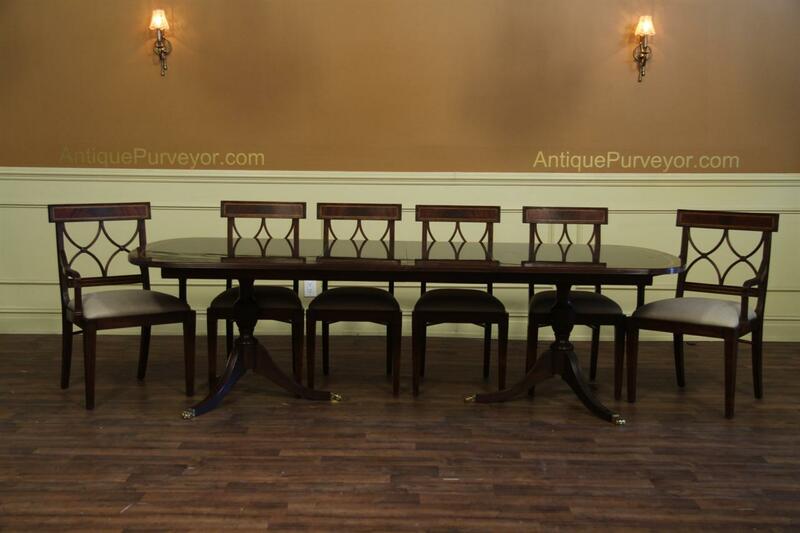 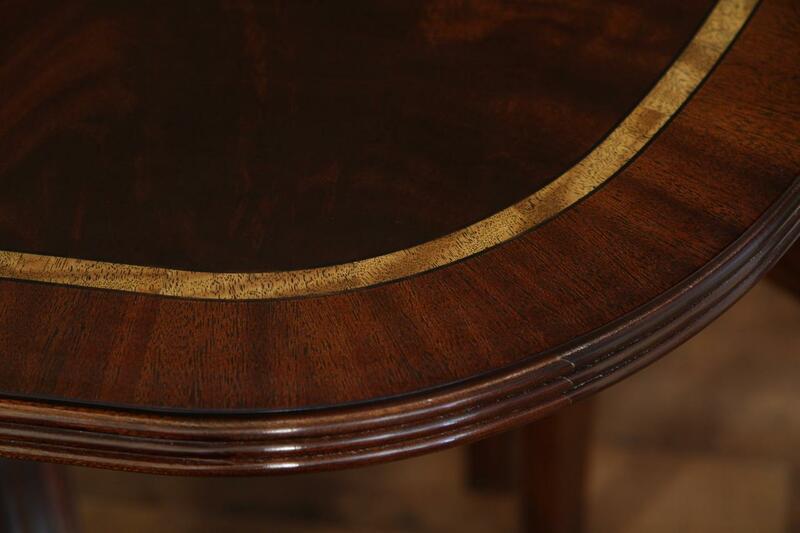 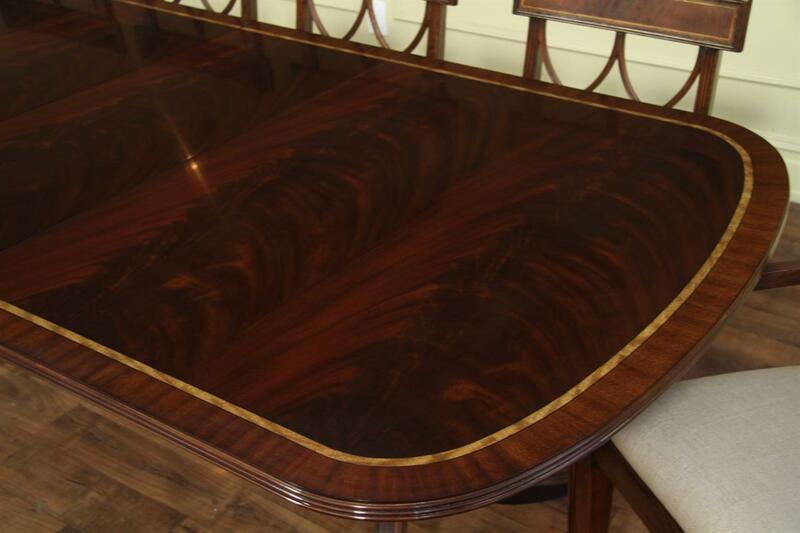 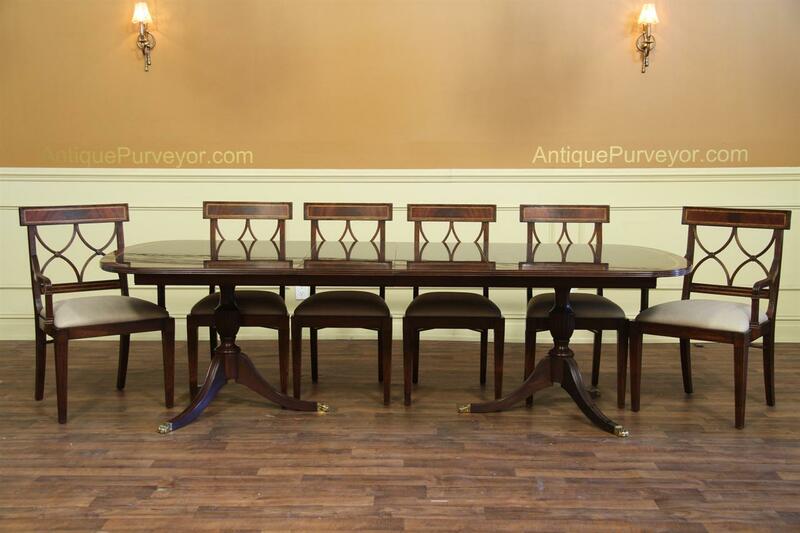 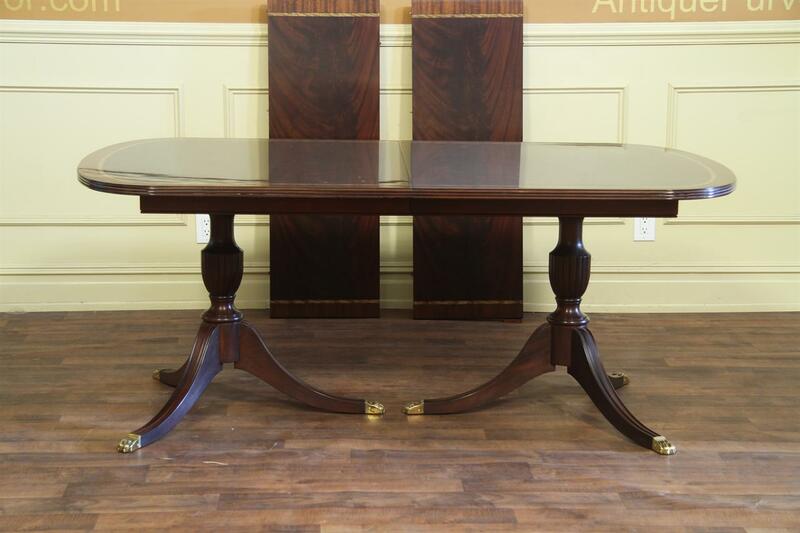 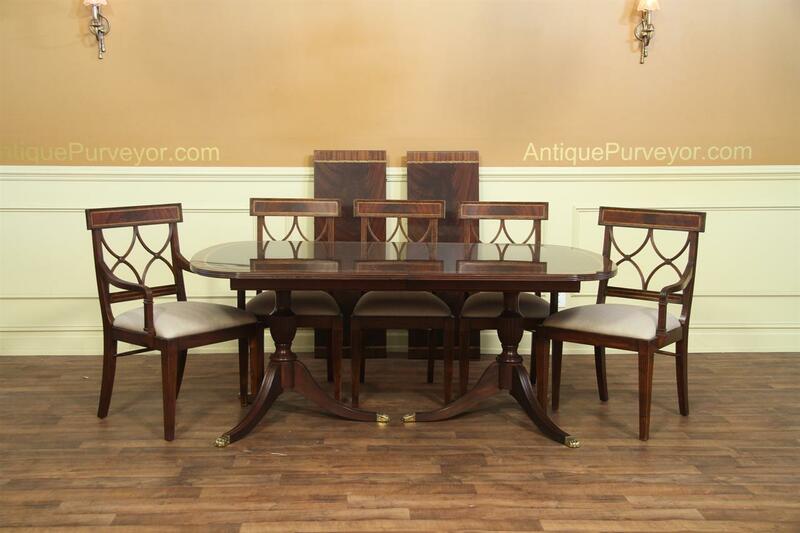 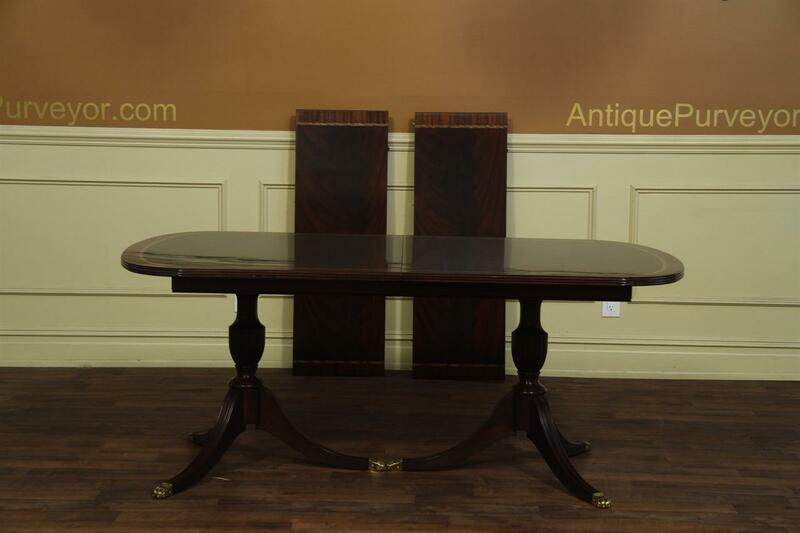 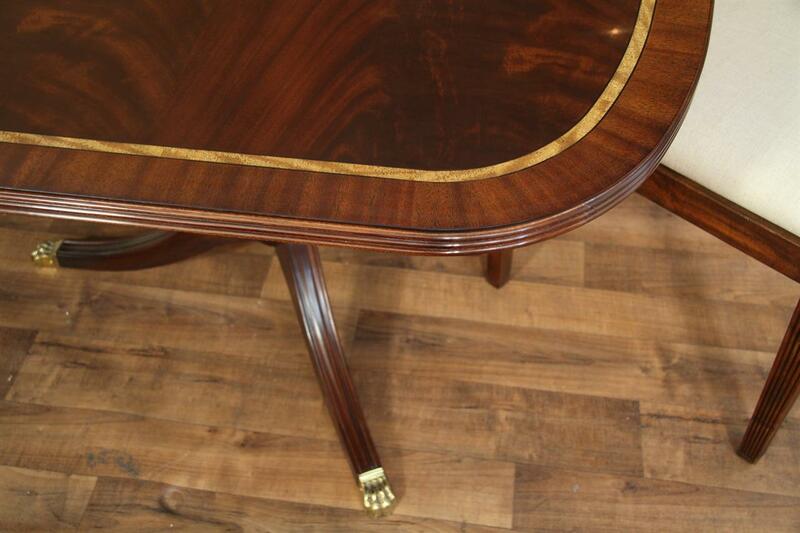 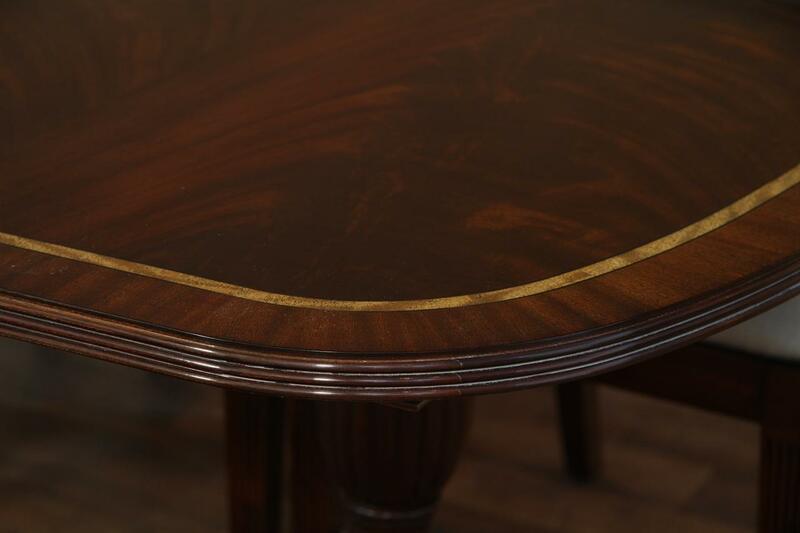 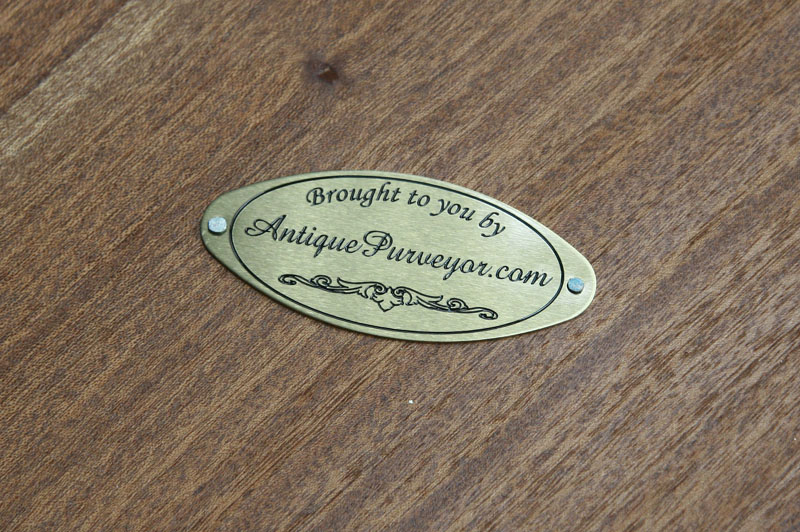 This high end antique reproduction mahogany dining table for sale is ideal for a fine dining space.